The auto industry is an entirely different world for some shoppers, especially when it comes to financing. Additionally, outside of real estate, a car is often the biggest purchase the average person will make in their life. That’s why it’s important to stay up to date on the latest financing jargon to keep you ahead of the curve. APR: Short for “Annual Percentage Rate,” this is basically the yearly rate of interest you receive, but it also includes fees and other charges. Interest is a charge for lending money, so the lower the APR, the better. Blue Book Value: This term comes from Kelley Blue Book, a third-party organization that rates the value of cars. Blue Book Value is helpful when negotiating prices to see if you’re getting a good deal because it’s often based on the prices others paid for similar cars in your area. Credit: Though it has many meanings, in the auto world credit usually refers to your ability to borrow money. Strong credit means you are at less of a risk to lenders, so it often leads to better rates and higher loans. Down Payment: Think of this as a deposit. You pay money “down” to lower the amount you must borrow, thus increasing the likelihood that you’ll get approved for a loan. It also lowers the cost of monthly payments because you’re simply borrowing less. Lease: Similar to renting an apartment, leasing means you pay a small down payment and lower monthly costs, but you have to give the car back when the lease is up. Term: The length of the loan, commonly given as 36, 48, or 60 months. Title: The legal document that shows ownership. Distinct from the registration, the title is needed to transfer ownership. You need to bring the title if you’re trading in a car, and, if you borrow money, the lender usually holds onto the title until the loan is paid off. These are just the basic terms used in financing. 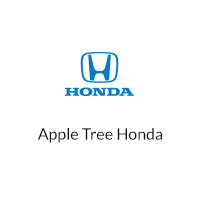 For more questions about terms, rates, or financing in general, speak to one of our staff members at Apple Tree Honda.